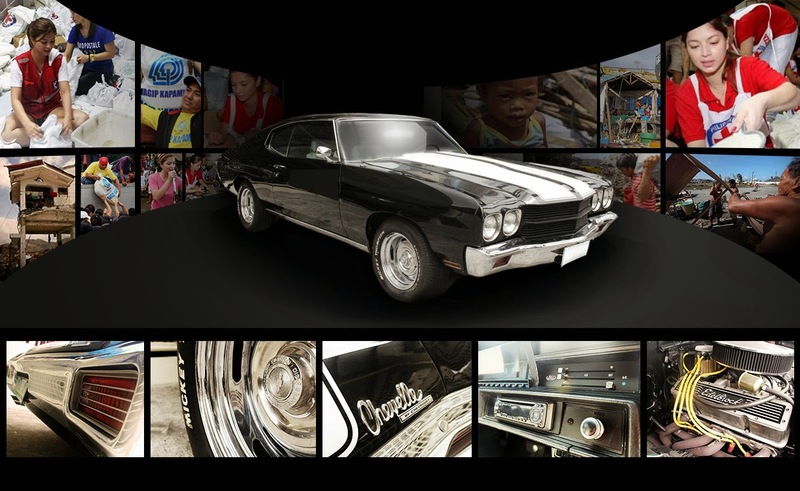 ABS-CBN Sagip Kapamilya auctions off the 1970 Chevrolet Chevelle pre-loved and donated by actress Angel Locsin to help rebuild schools in typhoon Yolanda-stricken areas beginning Monday (Apr 21) via online bidding. Angel has authorized Sagip Kapamilya to publicly auction her muscle car and appealed to car enthusiasts to support her cause to help victims of typhoon Yolanda. In an interview with “Kris TV,” the ‘Legal Wife’ star revealed that she had always dreamt of owning a vintage Chevelle, so she went all the way to United States to purchase the car. When asked why she decided to donate her dream car to charity, Angel said that she felt bad having such a luxurious car knowing that many people were suffering from the onslaught of the super typhoon. For a minimum bid of P1 million, interested buyers may log on to http://auction.abs-cbn.com. Register and create your account and click on ‘place bid’ for your bids. Auction runs from April 21 to April 30 only. The winning bidder will be announced. For more inquiries, visit the auction site or call 4114995 to schedule a viewing appointment. Sino naman ang bibili nyan? Duh!!! !